1. HTC Hero S is the successor to the HTC Hero. Compared with HTC Hero, HTC Hero S has a higher resolution display and larger screen. 2. 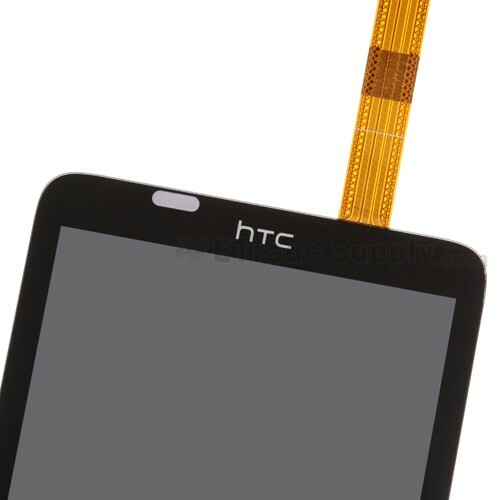 HTC Hero S LCD Screen & Digitizer Assembly is a great important component of the whole device. After constant use, the HTC Hero S LCD Screen & Digitizer Assembly will suffer from wear and tear quickly. 3. This HTC Hero S LCD Screen & Digitizer Assembly, which can resolve all common display problems like discoloration, dead pixels and white screen, is a good replacement part for your scratched, cracked or damaged LCD Screen and Digitizer Touch Screen. Do not hesitate and give you phone a fresh and new look. Wholesale will be greatly welcome and appreciated. 2. 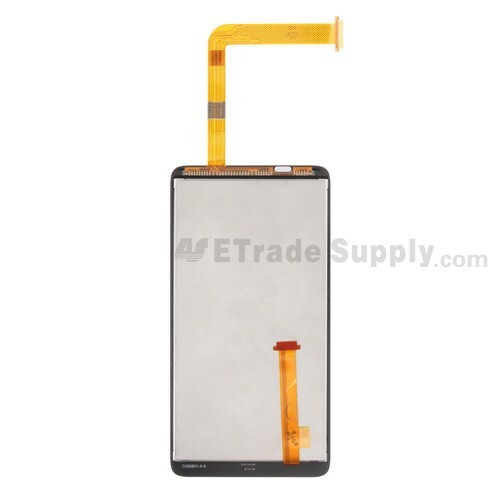 As the first enterprise of the electronics parts service industry to get the ISO9001 certificated QC of quality system, ETrade Supply conducts strict visual inspection and functionality test for each HTC Hero S LCD Screen & Digitizer before package and transportation. 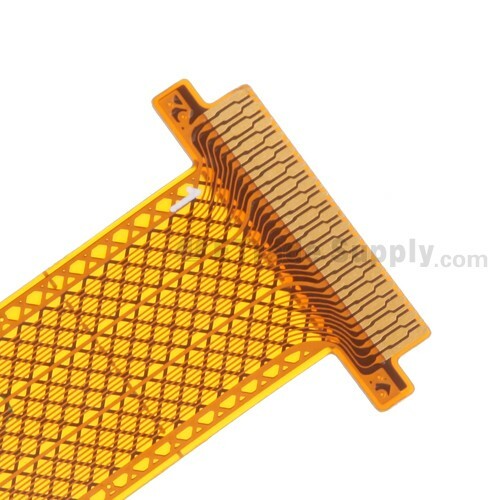 Besides, we also invent our own super-protective packaging method to give the maximum protection to the HTC Hero S LCD Screen & Digitizer Assembly. 3. Therefore, please rest assured that our product quality is guaranteed. 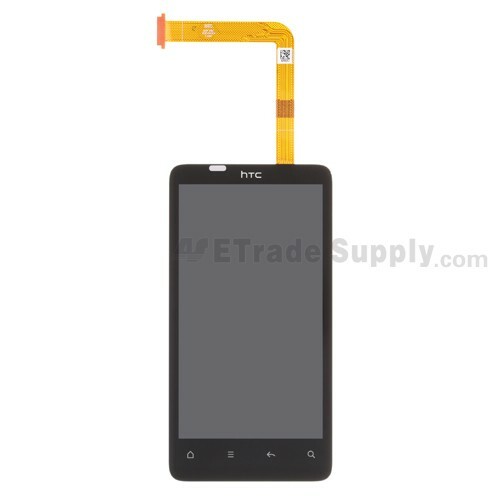 Apart from this part, ETS also supplies other related HTC replacement parts. 1. Make sure you choose the right model before purchasing for fear of causing any trouble. In addition, the LCD and digitizer were already assembled together, which is convenient for the customers to install the whole device. Please also be noted that currently we provide this assembly is WITHOUT the LGP (light guide plate), but it will not affect the function. 2. 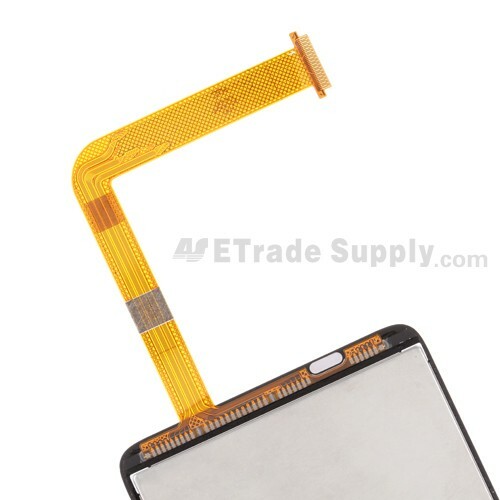 Please handle the flex cable carefully and align with the LCD Screen flex cable port during installing the HTC Hero S LCD Screen & Digitizer Assembly. 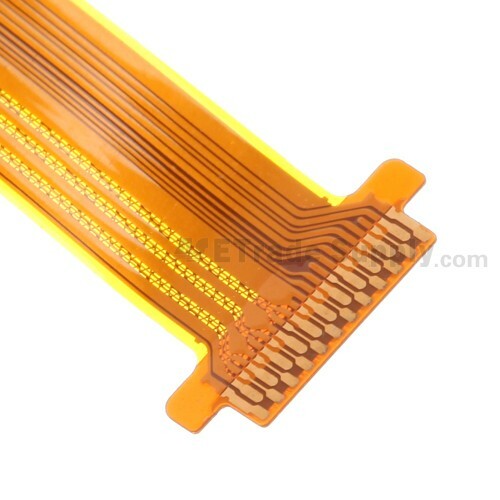 Besides, great attention should be paid to put the LCD Screen onto the motherboard since the flex cable is fragile, which will break off and influence the LCD Display function because of mishandling. 3. Be kindly noted that ETS cannot be responsible for any possible damage caused by personal factors. In addition, any corrosive material should be kept away from this HTC Hero S LCD Screen & Digitizer Assembly, which shouldn’t be piled up together and should be stored in the dark and dry environment.